Plot: The original X-Men (minus Cyclops) have a reunion dinner. However the evening takes an unexpected turn when Charles Xavier arrives. 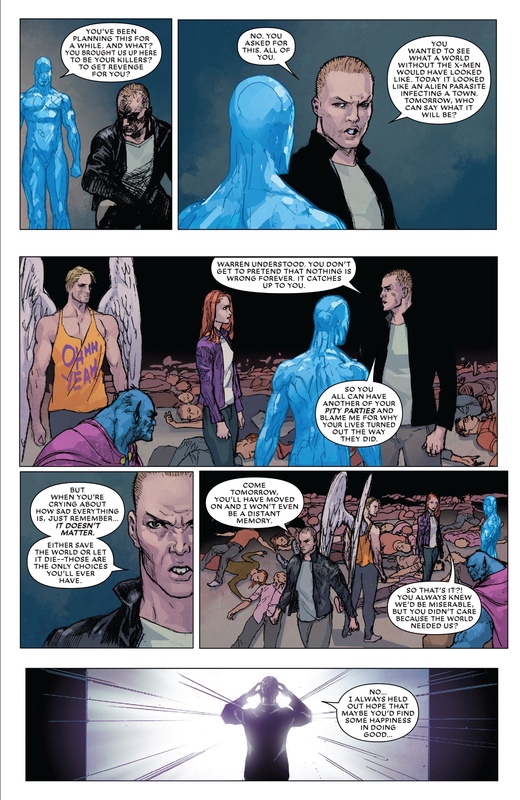 Xavier then asks his students for help regarding the return of his old foe, Lucifer. Story: There’s something special about seeing the original X-Men together again. While we have another version of the original mutants, these are the classic versions that have lived through the future their younger counterparts are currently visiting. 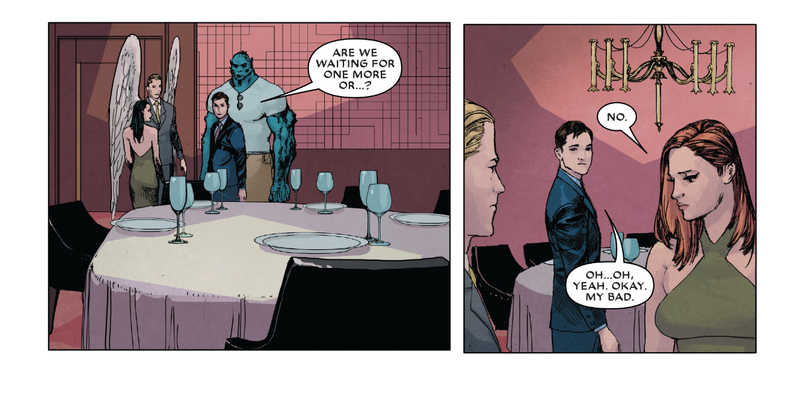 When Bobby asks Jean why she put this dinner together, she says it’s to discuss how being the first X-Men wrecked their lives. This is a terrific development. Most reunion stories always involve reminiscing about the good old days but in the X-Men’s case it’s about how much they sacrificed for Charles Xavier’s dream. Speaking of Xavier, this issue features the original X-Men learning about his resurrection (see the first 12 issues of Astonishing X-Men). 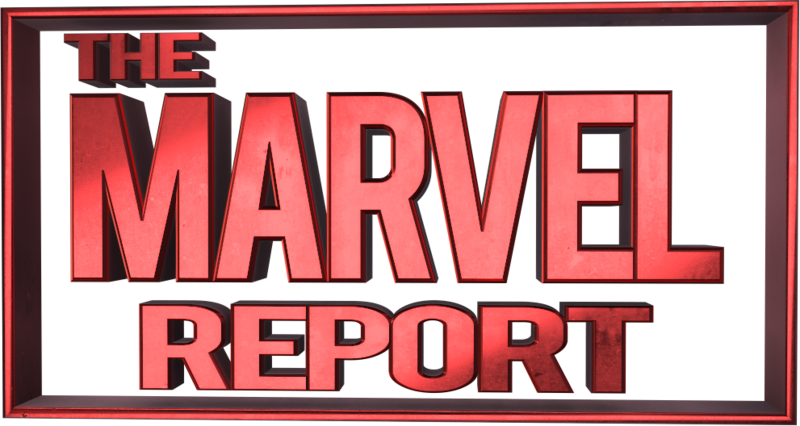 I really enjoyed the way Matthew Rosenberg wrote Charles Xavier in this story. Before his death, several comics explored the darker and more manipulative aspects of Xavier’s character. Xavier kept these aspects hidden behind his identity as a caring academic. However Rosenberg has Xavier being more upfront about his darker methods. When the time comes to take care of Lucifer, Xavier has no issue with lethal force as the team’s only option. Also when he leaves his former students, Xavier erases their memories of this adventure so the next time they have a reunion dinner it’s for a more positive reason (which we see on the last page). Matthew Rosenberg does an excellent job with the characters’ dialogue. Rosenberg really nails down each character’s voices with the lines provided to them. As I stated earlier, Rosenberg really understands how Xavier is different now post-resurrection. 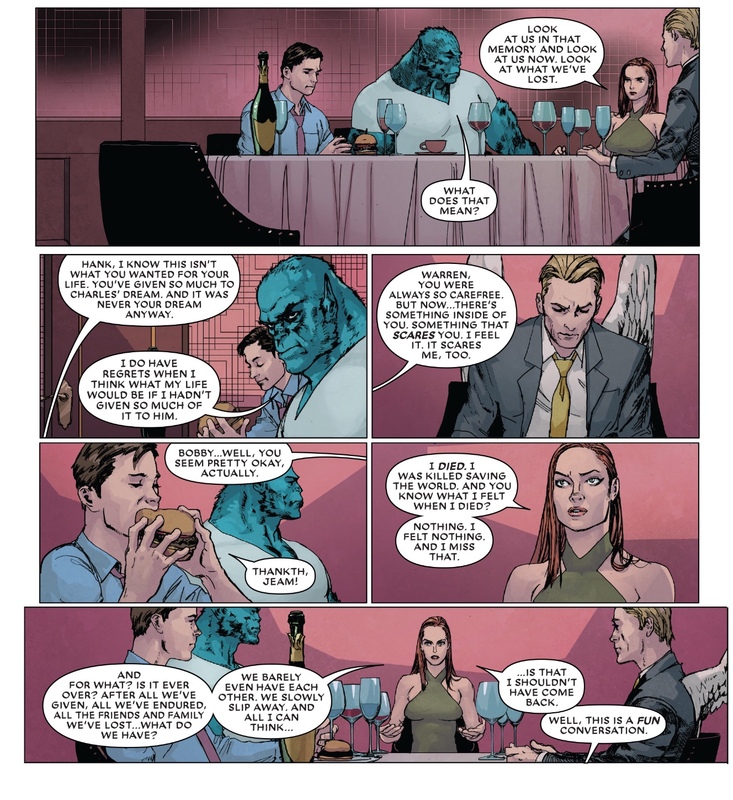 Another great example of his dialogue involves Beast’s (Hank McCoy) conversation with the restaurant’s maitre d. At first the maitre d reminds Hank about their dress code but Hank provides a compelling argument that causes the maitre d to drop the matter entirely. Based on his work in this issue, I’m willing to give Rosenberg’s ongoing Astonishing X-Men issues a shot. Art: The artwork is pretty good in this issue. I really enjoyed the vacant seat at the X-Men’s table for Scott Summers (Cyclops). This shows that Jean Grey still cares for Scott despite his not so heroic final moments. Plus the sequence where Warren changes into Archangel to kill Lucifer is breathtaking. The rest of the team is arguing whether they should kill him so Warren makes the decision for them. Unfortunately, my one problem with the artwork is the design for Charles Xavier. Xavier’s resurrection was possible by taking over Fantomex’s body. However, Travel Forman drew the character too much like Xavier. Also it looks like they tried giving him a crew cut but he looks like he has hair plugs. 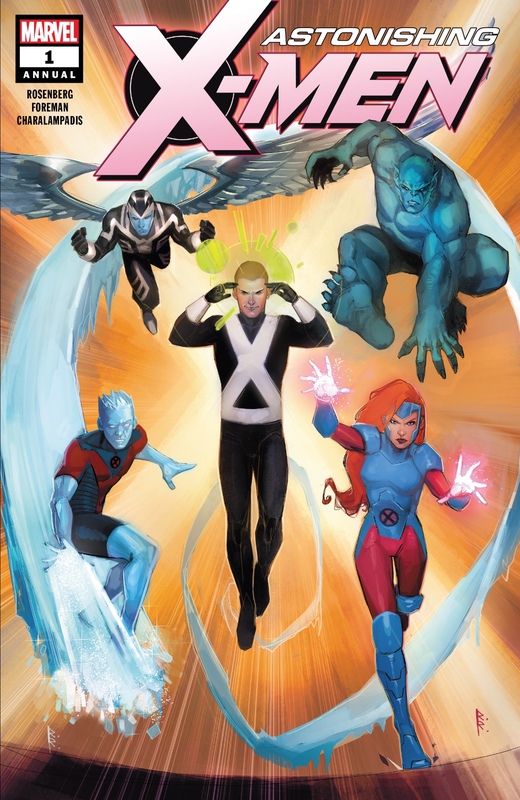 Verdict: Astonishing X-Men Annual #1 is a great one-shot story featuring the original X-Men. It’s another opportunity that shows how Charles Xavier has changed since his return from the astral plane. Unfortunately if these characters don’t interest you then you may not enjoy it.